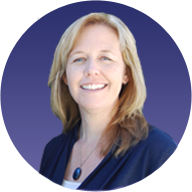 I am Cathy Cortney and I have been working as a Physical Therapist in San Diego since 1998. I grew up in San Jose and then graduated from U.C.S.D. before attending Mt. St. Mary’s College, in L.A., for my Masters of Physical Therapy. My career began with C.C.S. in Chula Vista and I worked there for over eight years before moving to a private practice for almost 7 years. I have also done per diem work with the Scripps and Sharp hospital systems as well as for the Family Health Centers of San Diego in Logan Heights. I have worked with pediatric and adult clients with all variety of neurologic, genetic and orthopedic diagnoses. My two areas of greatest passion are working with pediatric clients on achieving independent movement and development and working with clients on their wheelchair mobility and seating system needs. Over my career, I have had the privilege to work extensively in both of these areas. Now, I’m very excited to begin my own practice with the mission of raising my clients expectations for the quality and individually focused direction of their therapy services as well as raising the expectations for the amazing potential each of them possess to live his/her best life and to reach his/her goals and dreams.